When I first took this photo, I wasn’t thinking. I just saw a relaxing and memorable view and decided to snap a pic. Now reflecting on the photo I see my subconscious thinking. The symmetry in the sailboats, the glitter on the water, the pure essence of the scene. Now when I look at it I feel calm. It reminds me of a happier time during the summer, when I was worry free. During a stressful school year I think it’s important to have photos like these. Moments that you can reflect on and think, “this is what it’s all about”. I really like how the vibrant colors of the sailboats contrast against the earth tones of the hill. 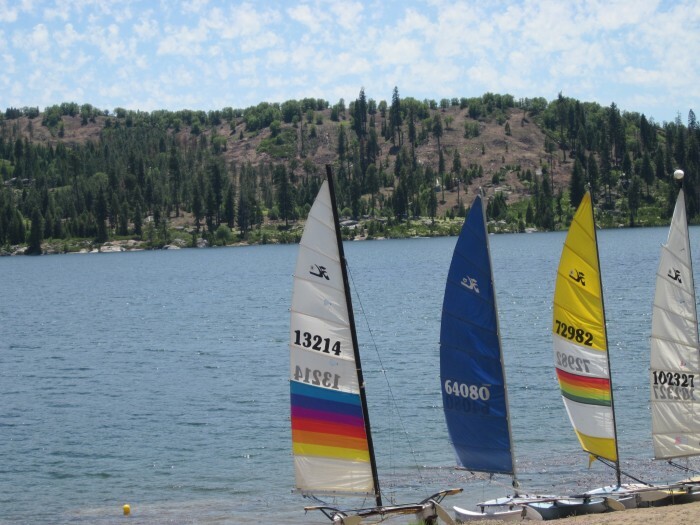 I really like the contrast between the different colored sails and how they stand out in the water. The background hills adds a lot to the photo as well, good choice in photograph.